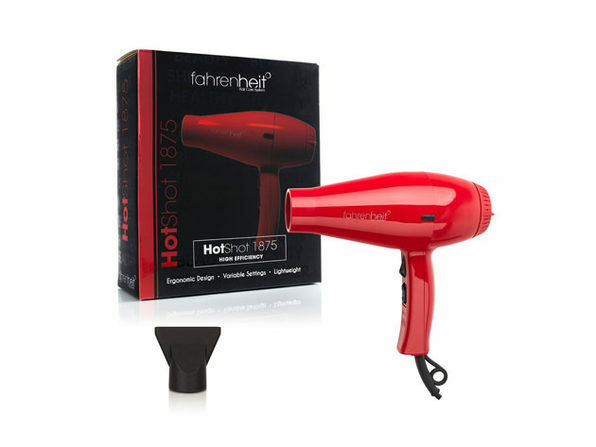 Effortlessly style and dry your hair—and save time while you do it—with the Fahrenheit Hot Shot Hair Professional M6 Hair Dryer! 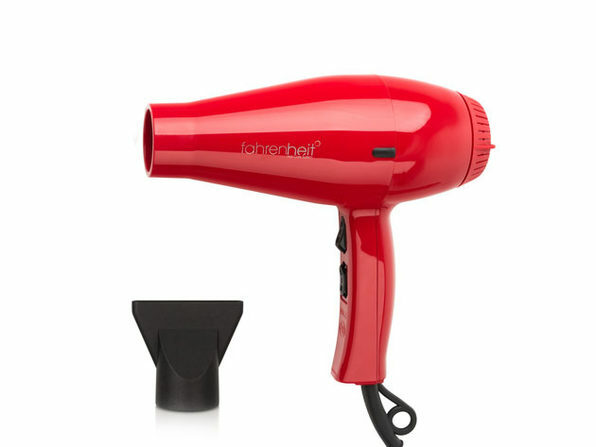 Designed with ceramic tourmaline, this hair dryer seals in moisture and reduces drying time by 50%. Its sleek, ergonomic design makes for less strain on your arms and body, and the extra-long 8-foot cord gives you plenty of flexibility while you dry. 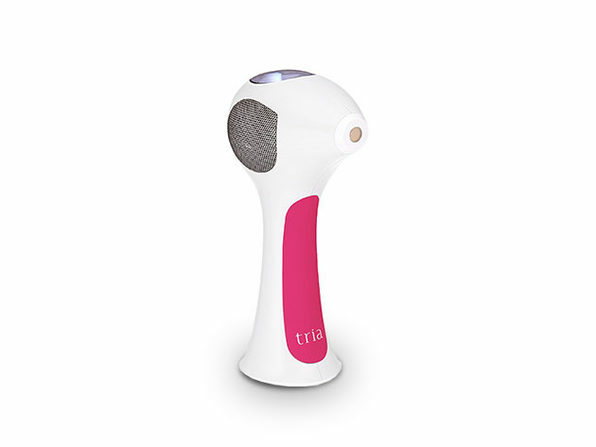 It features Variable controls for different speed and heat levels, and boasts an ultra-thin concentrator nozzle for maximum power. 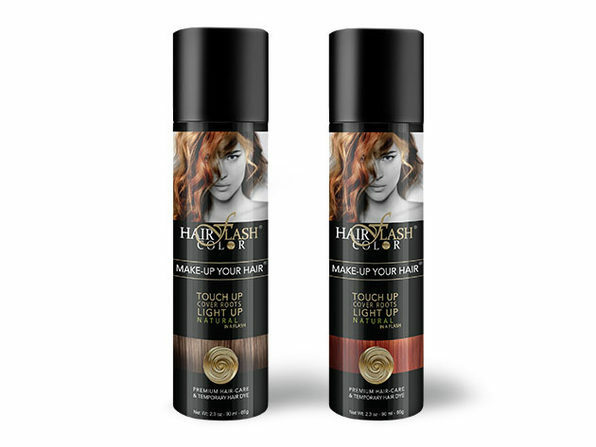 Note: For optimal styling results, use this dryer with a big round brush to dry your hair with natural waves, or dry with a flat brush for a straighter style. 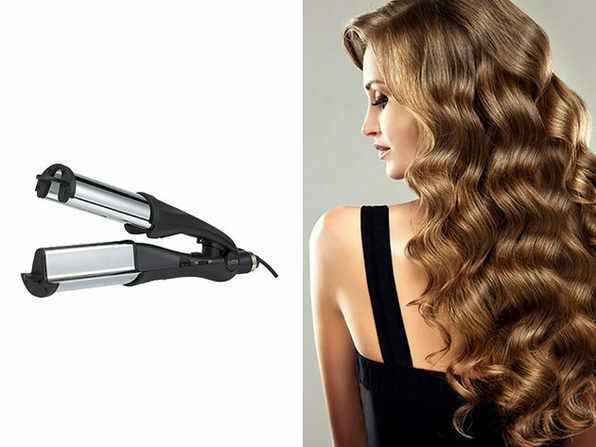 Run the hair dryer over your hair, keeping it a safe distance from your scalp to avoid burning.